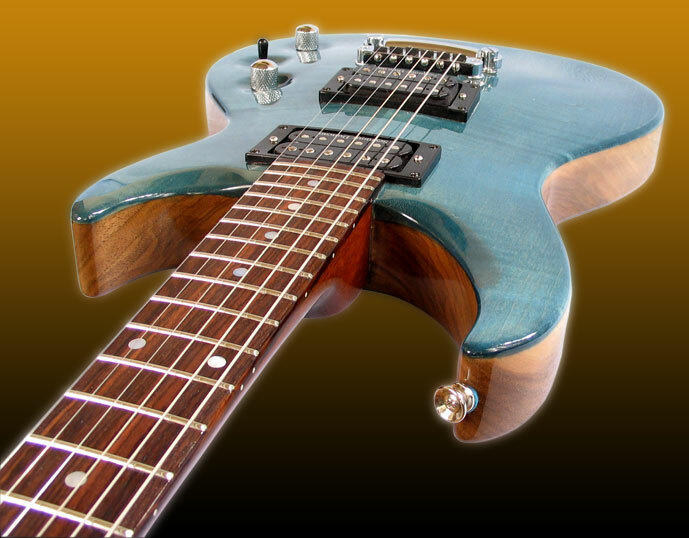 Shape: Arch top solid body electric guitar in the combination flame maple and excellent walnut. Body: Body is 63mm thick, there out maple is 18mm. Neck: Neck is mahogany with 15 degree. 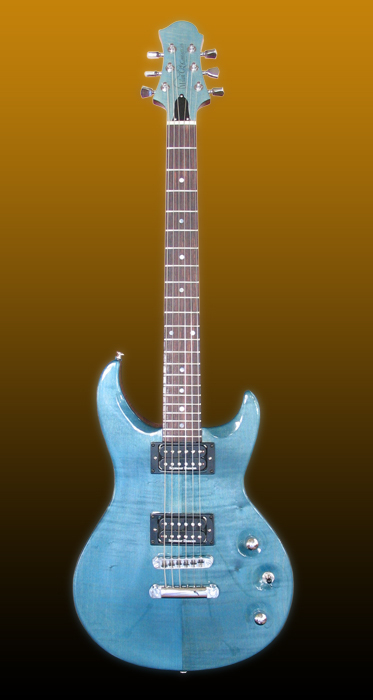 Fingerboard is rosewood, 12" radius with 6mm pearl dots and medium frets (optional). 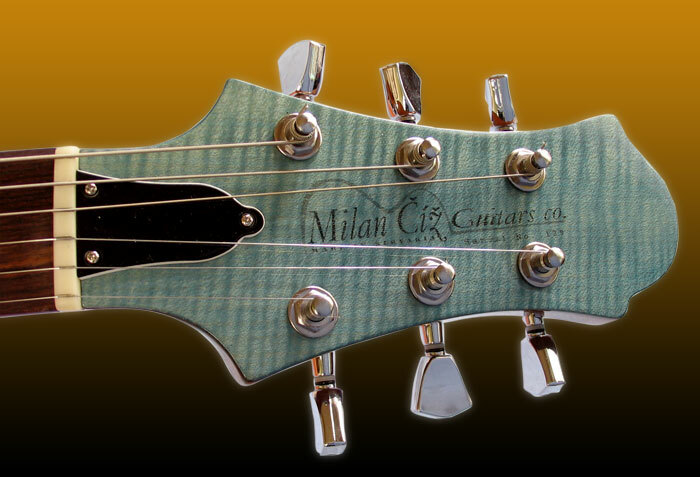 Other: A strings tuning stability and breaking prevention guard "Graph Tech" saddles .Control is traditional -: 1 volume, 1 tone (with push/pull switch for coil splitting) and 3-pos.switch. 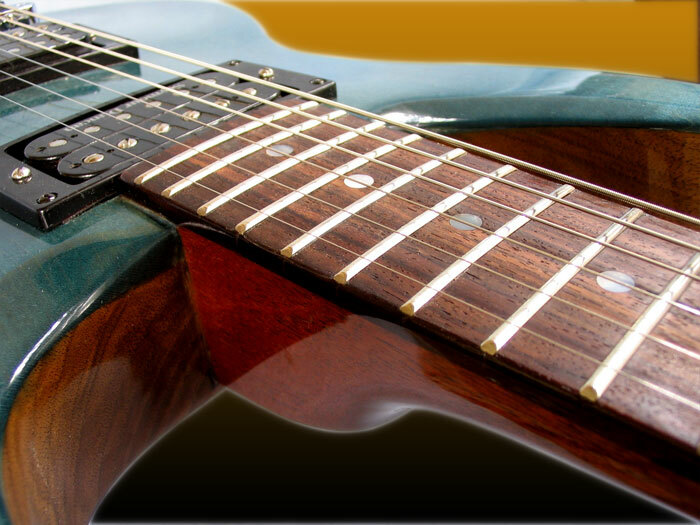 Great access to higher frets are achieved with 21 fret neck to body join. Sound: Sound picking provide inseparable and ages verified pair of pickups Seymour Duncan's SH1 (bridge) and SH2 (neck). 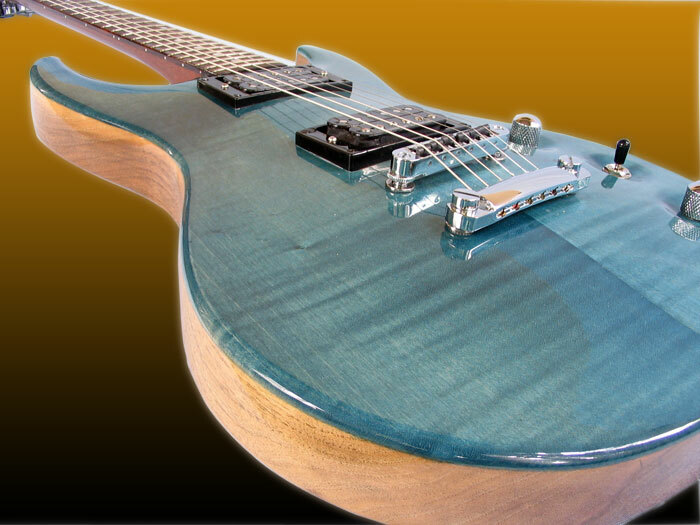 Deep and rich sound come from thick solid body along with glue-in neck.